Putting a company into a trust is an important part of estate planning and business structuring. It is important to interface your business structure with your living revocable trust. 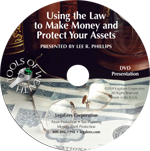 Many people will form an LLC or corporation in order to save their company in the event of a lawsuit and forget to pay attention to their estate plan. Yet putting a company into a trust is a fundamental part of asset protection. If you get in trouble in your business, you want to protect yourself. If you have troubles personally, you want to protect your business. No matter what you are doing in your business, whether it be helping others, rehabbing houses, trading stocks, or selling products, your business is probably your biggest asset. It is well recognized that a business makes a good target for lawsuits. You have spent your life working to build your business, but how much effort have you put into protecting it? And beyond lawsuits, the sad truth is that many small businesses don’t survive the death of the founder. When the founder dies, many times the business has problem getting “authority” for someone to step right in and “run” it. If you’re dead, it is difficult for you to sign your name. No one can sign your name without a probate order, and once the business gets caught in the probate process, it takes months or sometime years to emerge from the grasp of the lawyers and courts. Without putting a company into a trust, many small businesses cannot weather the death of the founder. When you form a corporation or an LLC for your business, part of the formation is to establish ownership of the company. Ownership is established by issuing stock certificates for a corporation. 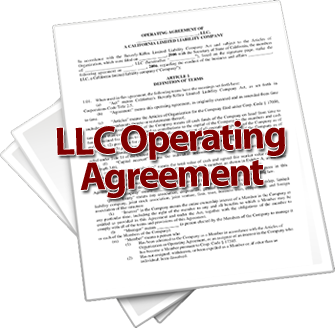 For an LLC, you issue certificates of membership interests. It really doesn’t matter how many shares are issued, as whoever owns the majority of shares owns the company. If you have half the shares, you own half the company. These certificates are what you use in putting a company into a trust. Putting a company into a trust is not hard. If you are just forming your company, just issue the certificates in the name of your trust. If you already have issued the certificates, simply look on the stock certificates or membership interest certificates. There will be a date entry for surrender of cancellation of the certificate. Enter the date the certificate was surrendered, and then simply issue another certificate. If you surrendered certificate #1, you will not reissue certificate #1. You will reissue another certificate, say certificate #4. Fill out the ledger and the certificate in the name of your trust. When putting a company into a trust, remember the trust has three parts to the name. (1) the name of the trust – BIG TIME TRUST, (2) Date of the trust – Under Agreement 1/22/2014 or U/A 1/22/2014, (3) John Timely (your name) Trustee or John Timely TTEE. Be certain to include all three parts of the trust name on your certificates. When putting a company into a trust, beware that S corporations , those corporations taxed under Subchapter S of the IRS Code, or an LLC taxed under Subchapter S of the IRS Code, can only be owned by a“Subchapter S qualified trust.” If your trust doesn’t meet the criteria of a “Subchapter S qualified trust,” then the IRS will reclassify you company as a C corporation tax structure. Note: the living revocable trusts I have in the LegaLees Accumulation and Preservation of Wealth sets do qualify as a “subchapter S qualified trust,” so don’t worry about that. If you are using another version of a living revocable trust, know that many of them don’t qualify, so you may have to amend your trust. The important thing to remember is that putting a company into a trust is a smart asset protection and business move. HI MR. PHILLIPS MY QUESTION IS HOW MANY LLC’S DO I NEED! If you are going to be doing real estate as a business then you will want to put it into a separate LLC. I would wait until you are actually making money in real estate before forming the LLC. The rest of your personal assets and real estate should go into a living revocable trust along with any LLCs you own. question about filing 83b when the shares of a start-up are issued in the name of the family’s revocable living trust. Who should be listed as the taxpayer(s) on the 83b – the Family Trust or the individual taxpayer(s) – or does it matter? The IRS doesn’t care if your revocable trust exists. Just use the individuals name and Social Security Number. I formed an LLC for my trucking company last Dec, I want to put it into a trust, is it too late to do so? You can put your LLC into a trust at any time. How would I put a C corp in a trust!? You issue new stock certificates in the name of the trust and let the state know that the trust is the new stock holder. You would file an amended articles of organization with the state if the ownership in your state is required to be shown on the articles of organization. If ownership is not shown at the state level, the change is internal in your membership log, certificates of membership and operating agreement. All you have to do is create a new deed that transfers the home to your trust with everyone signing. Can i open a business in my toddlers name to avoid loosing it in a separation down the road . God forbid but life is unexpected. I am not an expert in Canadian law, so wouldn’t be able to answer this question. I’m a sole proprietorship business owner. I invented an app that is being developed with investors. I get 10% shares in said company. I’ve recently opened a corporation company that I plan to allocate all my current business to by best year. My question is, under which company should I assign the shares to? And why? You will probably want to set up an LLC to own your shares in the company. This will provide you will protection should the deal go south. Mr. Phillips, how hard would it be to change my will into a trust and incorporate a LLC or FLC when two different states are involved? You can just create a new trust and revoke the old trust. There is no actual assets owned by a will. To incorporate a company in two different states you will first organize the company in one state and then register it as a foreign entity in the other state. I am a real-estate investor in Florida looking to close my first deal on a rental property. Should I form an LLC prior to acquiring the property. Also should I make two LLC one in Delaware and have that one own the Florida one. Ideally, you would make the LLC prior to the closing and have the closing done in the name of the LLC, so the property is moved directly into the LLC from the seller. Remember, the LLC ownership might affect the insurance coverage. Definitely do not put an LLC in Delaware and one in Florida. Just have the Florida one. You don’t gain anything by having the Delaware LLC. You can certainly invest in real estate without an LLC, so if it is a good deal don’t hold it up for an LLC. Remember, in Florida in order to get the charging order protection you need a multiple member LLC.